Berlin has a number of historic churches and religious buildings reflecting the cultural and religious diversity of the city. Many churches, chapels, mosques, and synagogues are also used as concert venues presenting both religious and secular music. Throughout Berlin's history numerous immigrants have left their religious mark on the city, from French Huguenots and various other christian faiths, as well as Jews and Muslims. 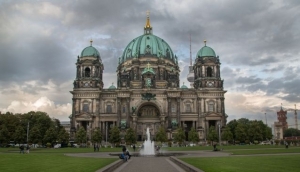 Many religious buildings of historical importance, including the Berliner Dom on Museum Island, were heavily damaged during World War 2, with the vast majority of them undergoing significant restoration.